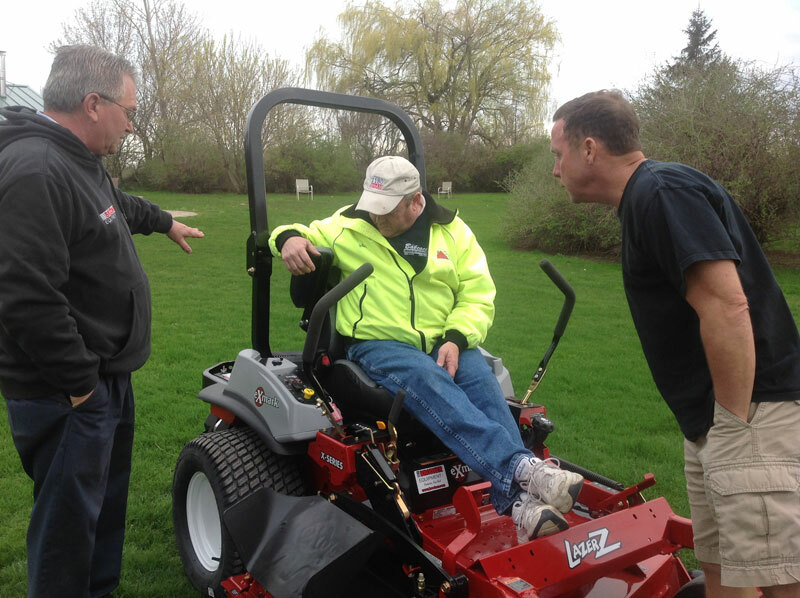 Do you think Jim told John he could sit on it but no touching? 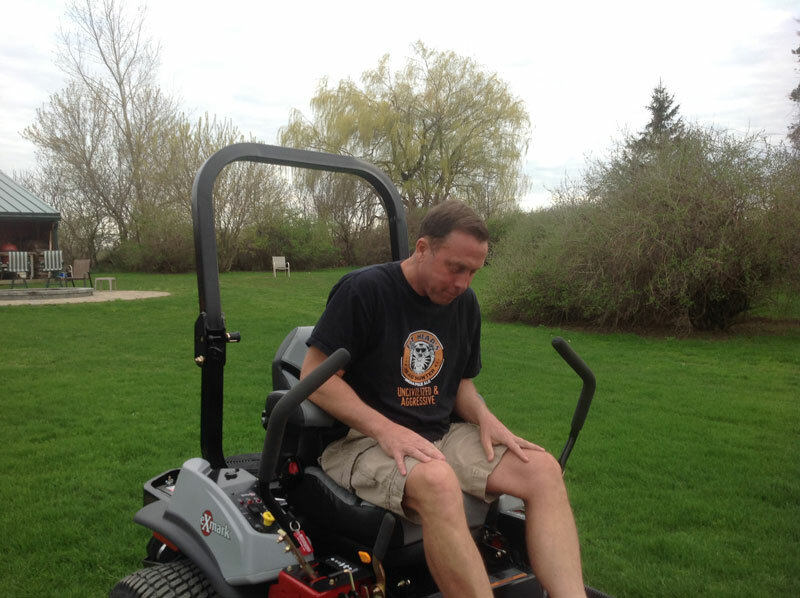 Enough looking! 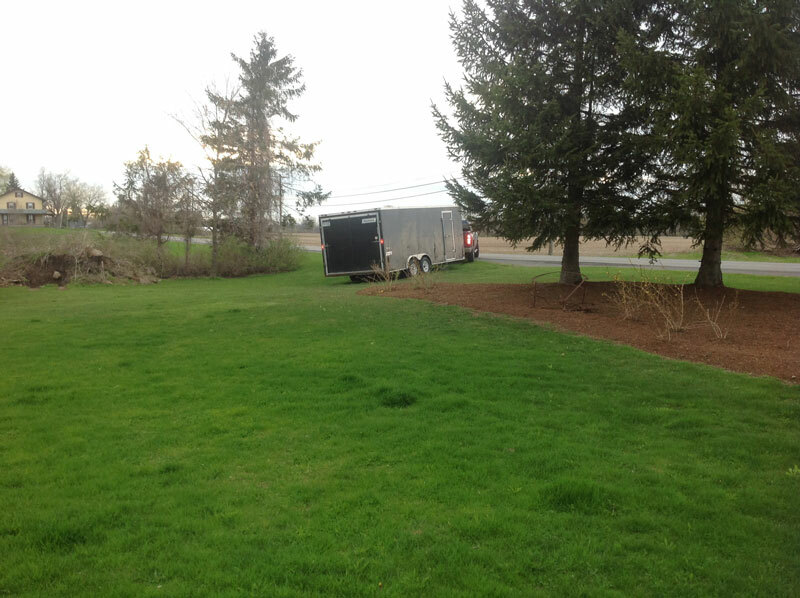 Time to drive it! 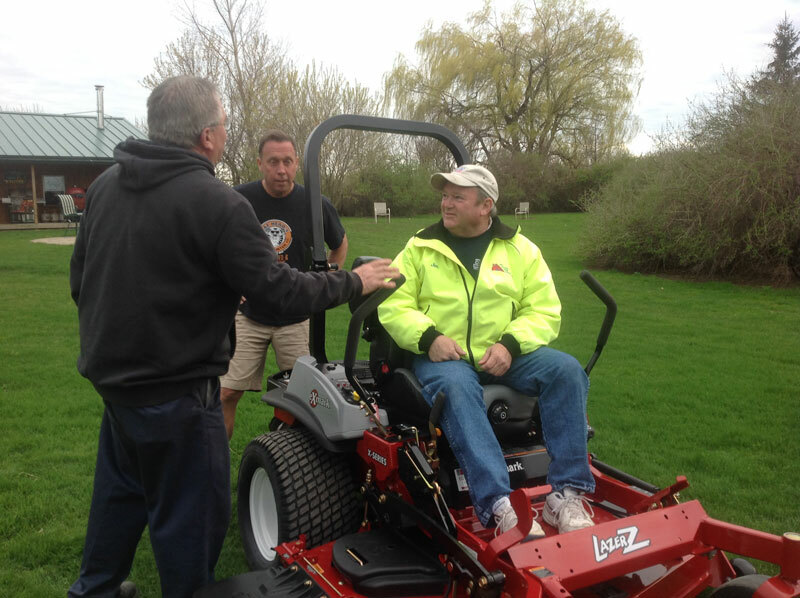 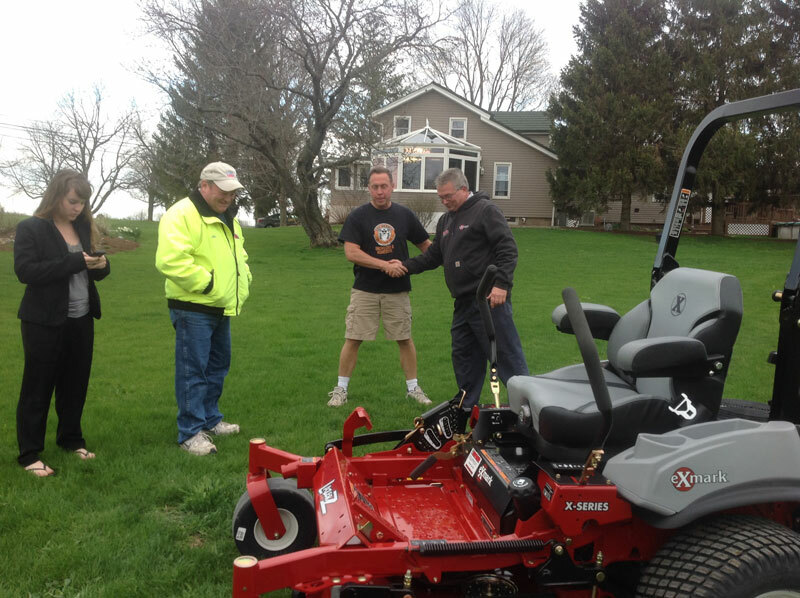 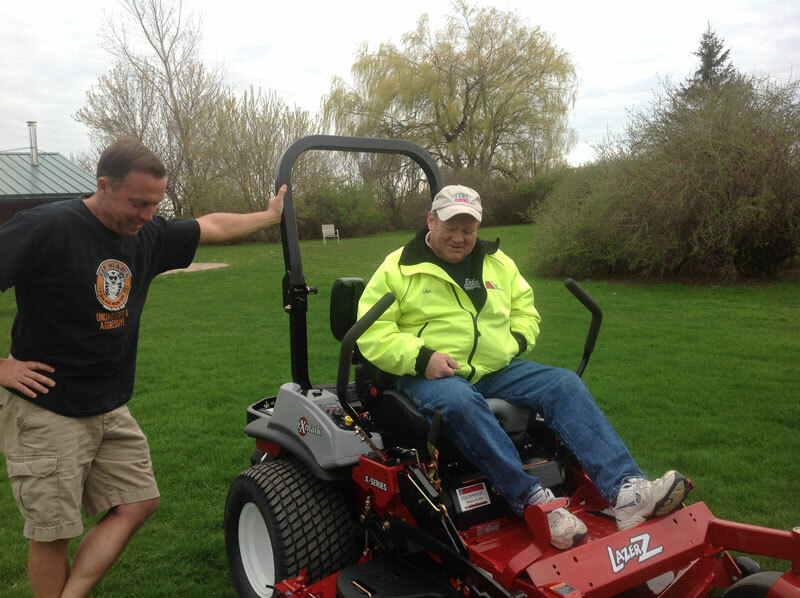 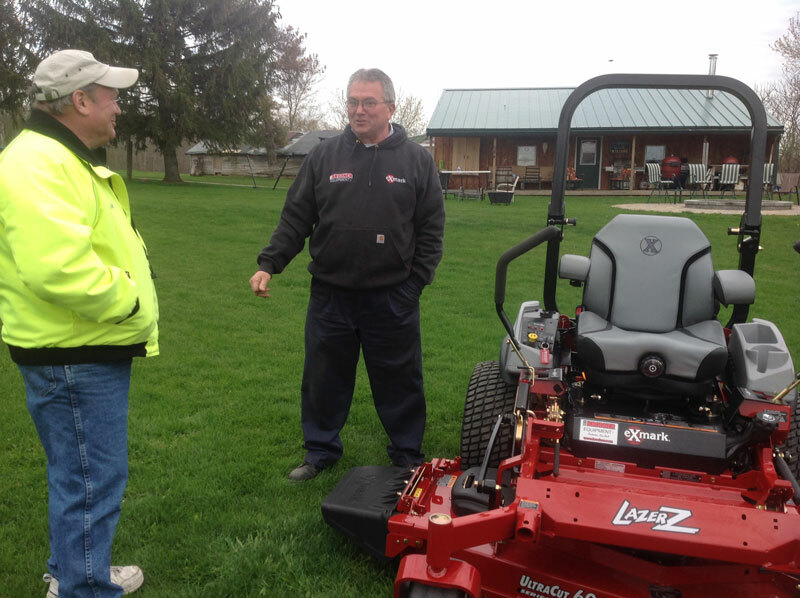 Jim is extremely happy with his new zero-turn riding mower from Brodner Equipment! 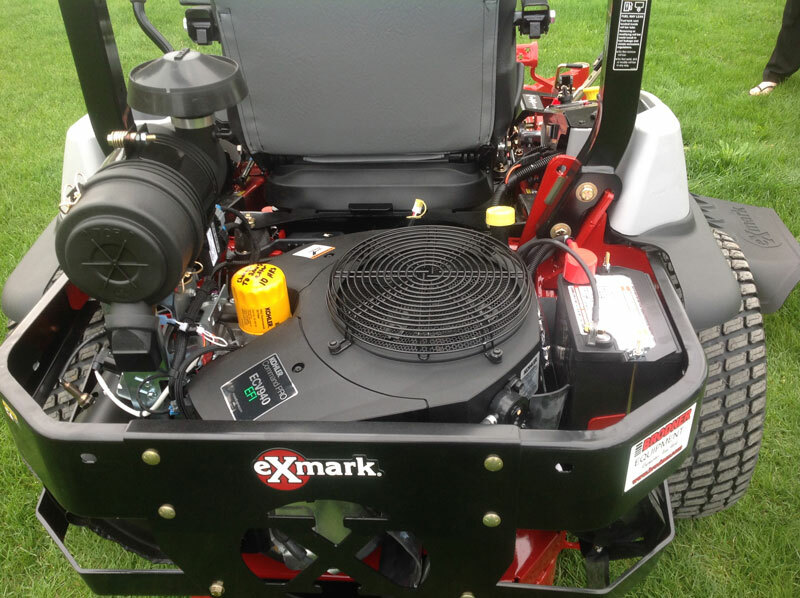 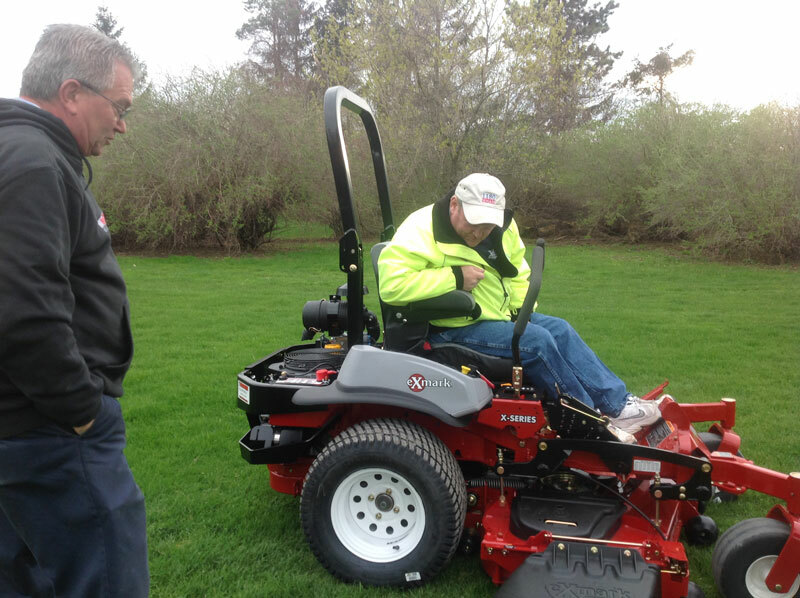 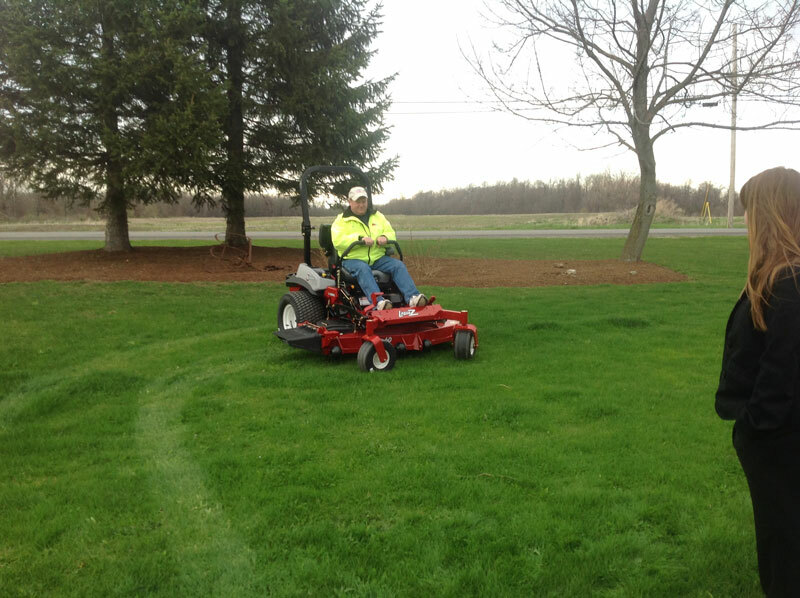 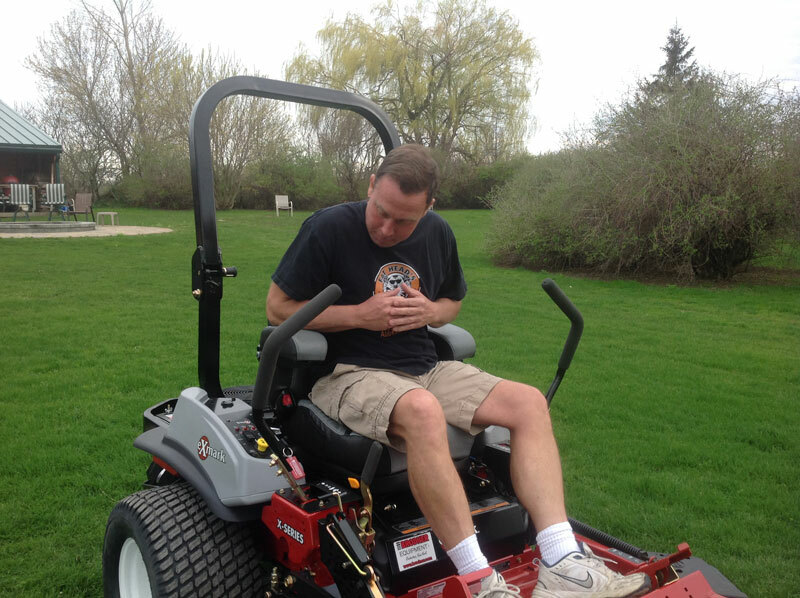 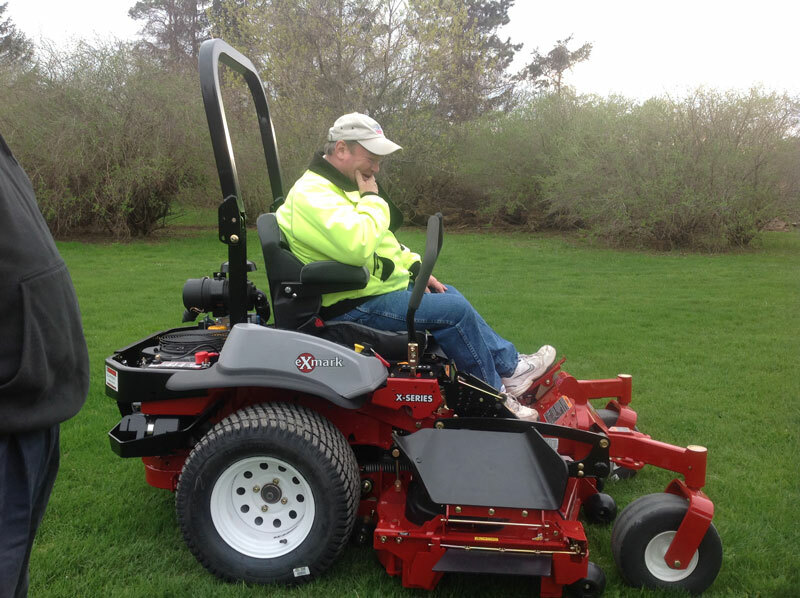 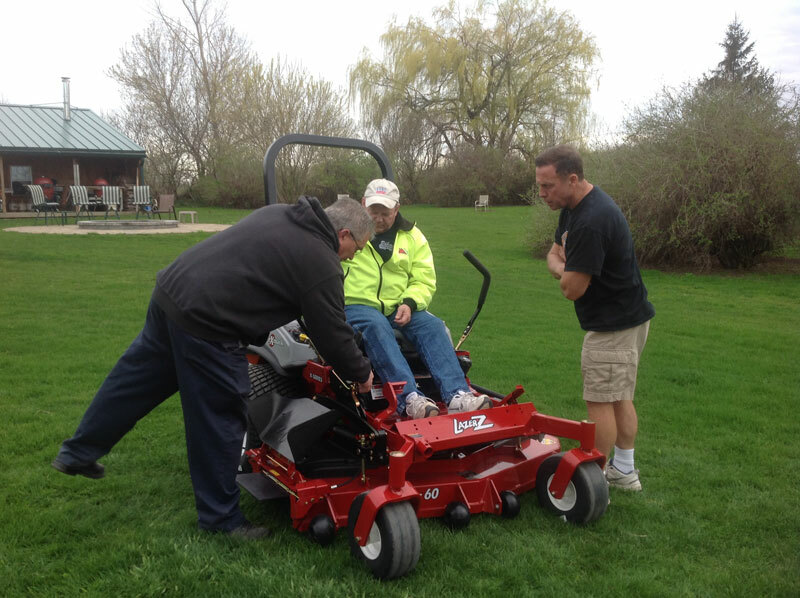 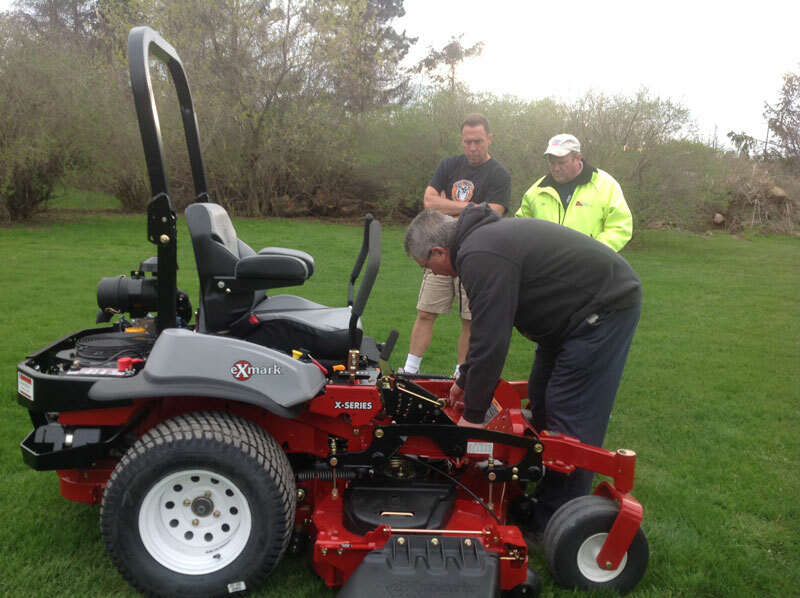 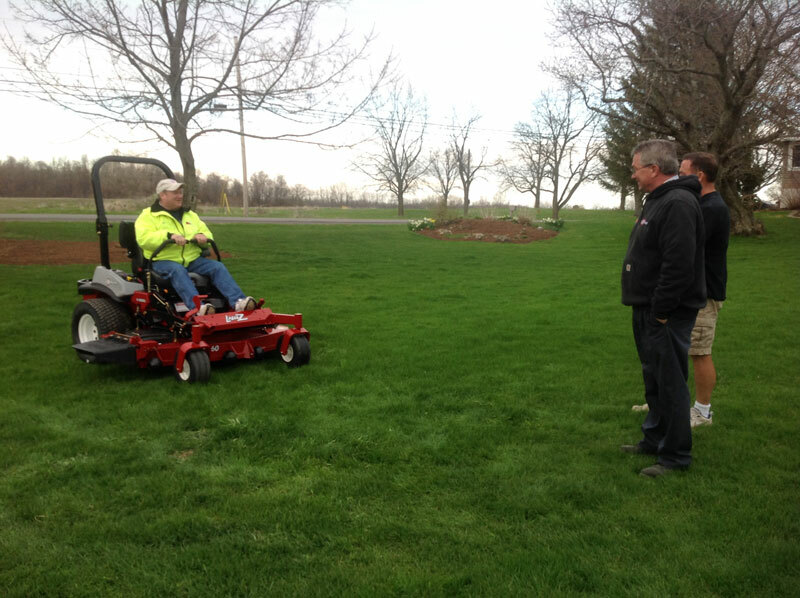 You can have as much fun mowing as Jim will be having with a new mower from Brodner Equipment! 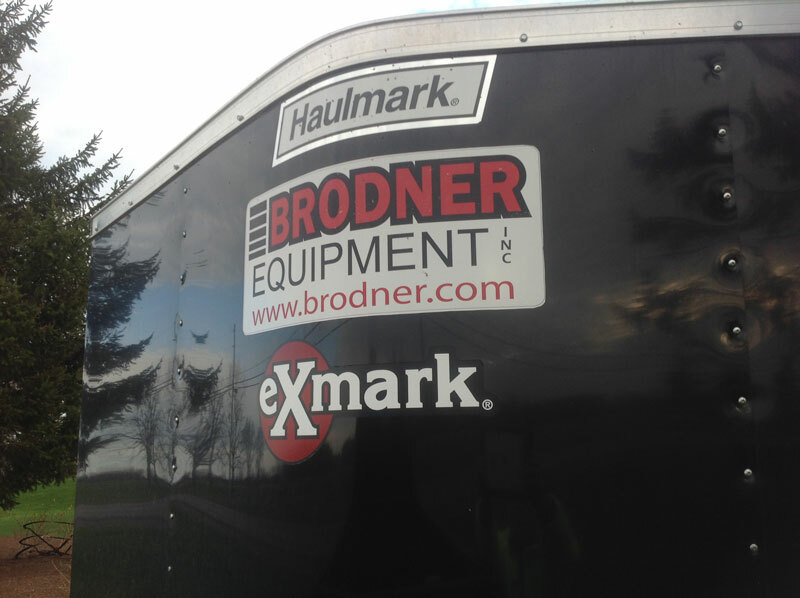 Just click on the logo below and see all they have to offer!